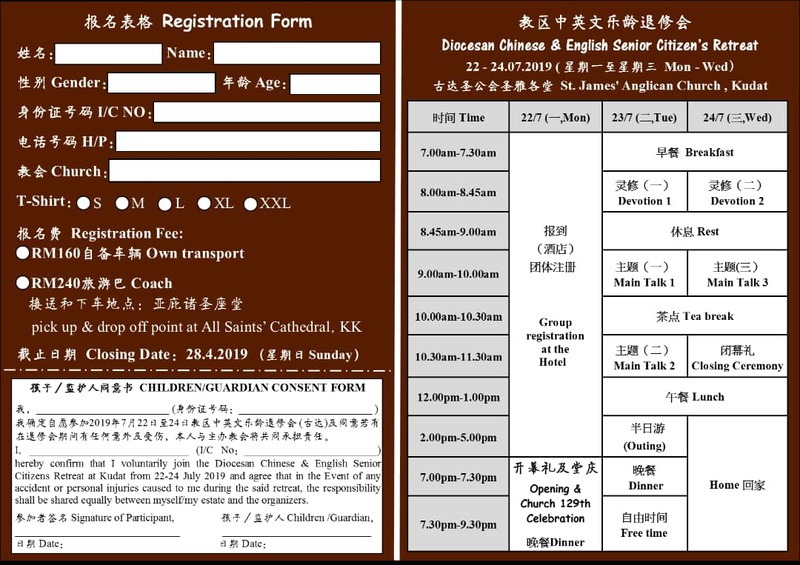 On 22-24 July, the 7th Diocesan Chinese & English Senior Citizens Retreat will be held at St James’ Anglican Church, Kudat. 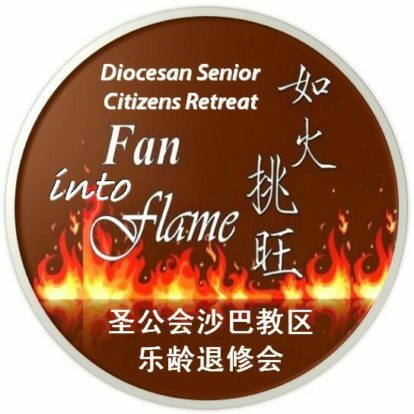 The theme this year is “Fan Into Flame,” based on 2 Timothy 1:6, which connects with the vision of increasing the influence of senior citizens in the family, the church and society. 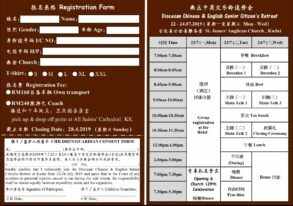 The response so far has been very enthusiastic and has exceeded expectations, with 350 people having signed up in just one week. 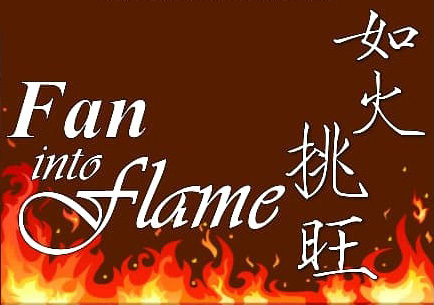 The conference will begin with Bishop Datuk Melter J. Tais delivering the opening sermon. 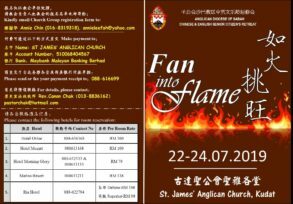 Among the invited speakers are Bishop Yong Ping Chung, Bishop Yong Chen Fah and Rev Dr Lee Tak Vui from the Basel Church. 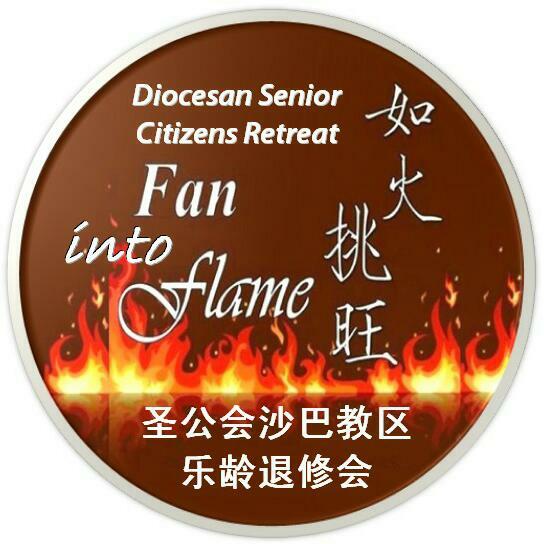 There will also be an outing to visit the St Paul’s Church Gallery and the Tip of Borneo, as well as to sample Kudat cuisine. 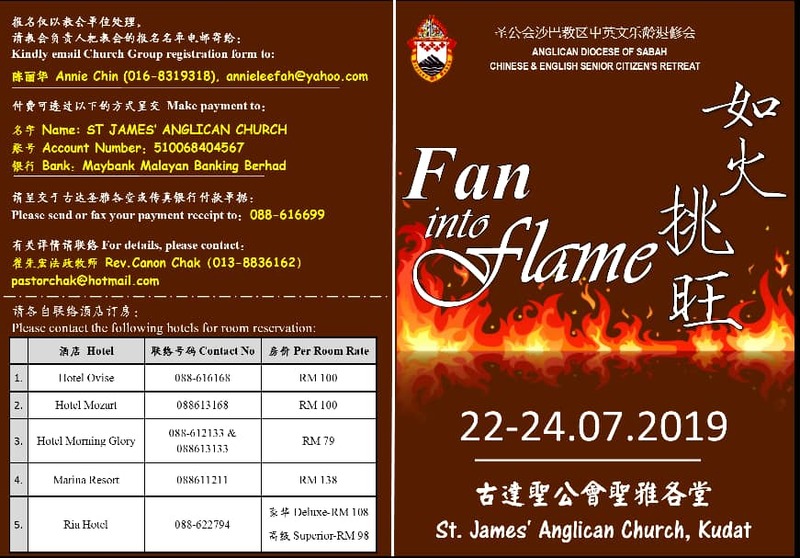 Let us pray for Revd James Yap, the coordinator, Canon Chak Sen Fen, the chair of the organising committee and the rest of the committee, as well as that those who attend will be strengthened in body and mind, and fanned into flame to contribute to the family, the church and the society. All glory to God. Amen!